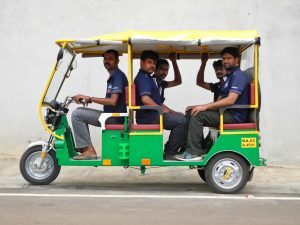 Shaktivahan – Transvahan Technologies India Pvt. Ltd. 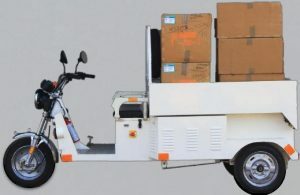 The E-Cart and E-Rickshaw are powered by a 1000W motor with high torque capability to handle inclines without much effort. 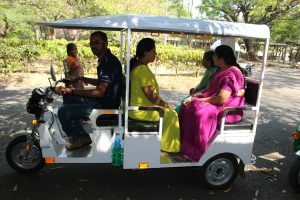 The vehicle can go up to 25Kmph speed and it can run 60 to 80Kms range on full charge. The materials used are approved automotive grade to ensure longer life, higher reliability superior performance.